the imitation game | is there any more pie? Posted on April 27, 2015	by is there any more pie? We might be two of the last people to see this movie, but we were so glad we finally had a chance to sit down and watch it last week. What a wonderful movie!!! Well worth the rental fee from Verizon. Benedict Cumberbatch plays the genius (with Aspbergers?) who broke the German “enigma” code in World War II. Lots of behind-the-scenes historical info that no one knew about for many, many years after the war. This entry was posted in family, movies. Bookmark the permalink. 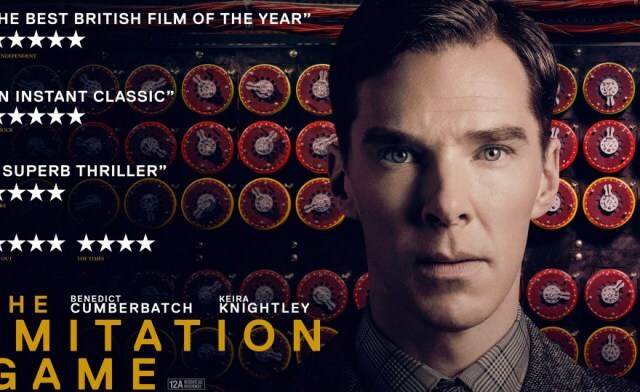 Having seen BLETCHLEY CIRCLE and loved it, THE IMITATION GAME is next on my list. You and Billy will really like it.